This English site celebrating The Essential Leonard Cohen has been prepared by Marie Mazur. Questions regarding these pages should be directed to Marie at Megan2c2b@aol.com. 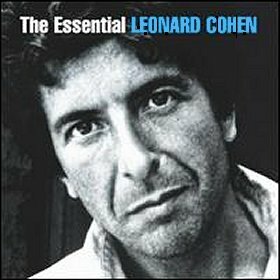 www.essential-cohen.com is the result of a cooperative effort by Patrice Clos of the French Leonard Cohen site, Christof Graf of Leonard - Songs & Work of Leonard Cohen, Stephane V. Ehling of Autour De Leonard Cohen - A Tribute French Site and Marie Mazur of Speaking Cohen. None of it would be possible without the considerable assistance of Kelley Lynch, Stranger Management, Inc., Leanne Ungar and Our Man, Mr. Leonard Cohen.